TBILISI, Georgia, December 5, 2013 (ENS) – Experts are warning that rural Georgians’ heavy reliance on burning wood for fuel is having a devastating effect on forests across the country. The environmental impact includes landslides on deforested slopes that damage thousands of homes. A survey carried out by the Caucasus Environmental NGO Network, CENN, found that in some areas of Georgia, more than 75 percent of people relied on firewood for heating and cooking. 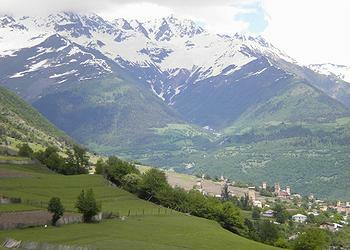 The survey took in 1,900 villages in seven regions of Georgia. CENN’s Rezo Getiashvili said that as areas become deforested, villagers are moving further afield to cut timber. Tamaz Okromelidze, a resident of the village of Mushko, said obtaining a permit to chop down trees for firewood is cheap, but transport is needed to collect timber from deep inside forests – and that costs money. “Moving it from there works out more expensive than buying it,” he said. Indiscriminate logging strips the land bare and destroys rare tree species as well as harming animal and bird life. In the CENN survey, 90 percent of respondents in Kvemo Kartli and Samegrelo, in the southeast and west of Georgia, respectively, admitted to cutting down rare species like wild pistachio, Persian walnut, Turkish boxwood and elm. In mountain areas, the removal of forest cover leads to landslides, which are so common that whole communities are resettled in lowland areas, in a process that has gone on over many years. According to the ministry responsible for displaced persons, 35,000 families are affected by natural disasters or hazards, and 11,000 live in homes no longer suitable for habitation. Eliso Kapanadze, who lives in the village of Khreiti in the mountainous Chiatura region, said she can remember when the area was entirely surrounded by trees. Now, the forest is gone and the underlying rocks are exposed. Gas works out much cheaper than firewood, with an average household spending 100-200 laris (US$60-120), for a winter’s usage. 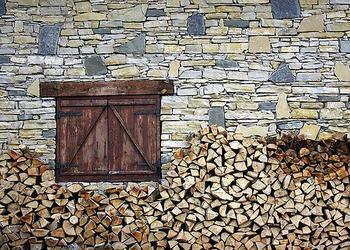 Kapanadze’s village does not have a mains gas supply, so logs are the only answer. “One truckload of firewood costs 500-600 laris, and even that isn’t enough to last a whole winter,” she said. Khatuna Khamaldze, of the Environment Civil Initiative in the southern Samtskhe-Javakheti region, said firewood is used even in some places that do have a gas supply. She said hotels in the mountain resort of Bakuriani are cutting down trees, spoiling the pristine nature that is their biggest tourist draw. “There is gas in Bakuriani, but it’s cheaper for many hotels to use firewood if they harvest it illegally. Of course, this affects the resort’s forests,” she said. Leri Chochua, a representative of the Georgia’s forestry agency, said new roads had been built to give villagers access to previously inaccessible forest areas so that they could cut timber. But he acknowledged that Georgia just does not have the resources to continue felling trees at the current rate. “The whole of Georgia’s forest resources, even if you include forests that are hard to reach, wouldn’t provide people with enough firewood. We need other measures to resolve this problem,” he said. Chochua said the government has begun considering ideas for alternative energy sources, but has yet to work out a strategy. One possible solution is to privatize forests – a process started by the last government – but this is opposed by villagers who fear it would make it harder for them to gather firewood.